For years cross-dressers have remained in the shadows, fearful of coming out in public with a secret that they have been hiding since they were a child. Many have purged, only to one day see a dress in the window at Macy’s that triggers their need to dress. It is widely known that this urge to dress is more than the clothes, as it is part of their femme self that has been buried deeply in their psyche. Cross-dressing remains one of the most confusing and misunderstood acts in our society, as many cross-dressers, though they may identify with the transgender community, don’t want to live their life as a woman full-time. They just want to allow their femme self to express herself and to be accepted. For most, this is very confusing, indeed, yet is the reason that many cross-dressers remain closeted. So much is at risk for a cross-dresser who has been dressing in private his entire life, without the knowledge of anyone, but a cross-dressing friend or on-line fellow-cross-dressers who they can remain anonymous, without revealing their male identity. Keeping the secrecy of their femme self has been their primary concern that has defined much of their life, making the act appear viewed as deviant to others. Most of the cross-dressers I have met, including my ex-husband, are not willing to give up their male gender to totally transition into a woman. My ex enjoyed his male self, yet felt compelled to express himself as a woman, with a need to be accepted as both. Because he was a high-profile businessman, who made money in developing real estate, his fear of being discovered as a cross-dresser was immense. Many cross-dressers biggest fear, after telling their wife about their cross-dressing, is losing their job or clients if they find out they are a cross-dresser. They are not willing to take this risk. Their concern over prejudice toward cross-dressing, due to lack of information and fear, keeps them in hiding. Here in lies the key problem for cross-dressers. Because so many mainstream cross-dressers are hiding under their female pseudo or not going out at all dressed, the public doesn’t know who these people are. My ex was a highly successful real estate developer. A friend of mine is a powerful Chicago attorney with two failed marriages and four children. He won’t even come clean with me. Yet, he has been spotted out as his femme self. I respect his need to keep his cross-dressing private, yet I can’t help thinking if the cross-dressers can find their voice, not the transsexual women’s voice, but their own message, they would be better understood and accepted. The time is right to come out as the transsexual women have fought the battle for acknowledgement and acceptance. Our society has not only accepted, but has embraced them by being sympathetic to their gender dyslexia. Yet, it appears to be easier for people to accept a male who believes he was born the wrong gender and decides to transition, rather then as a man who has a dual gender and wants to express himself/herself. 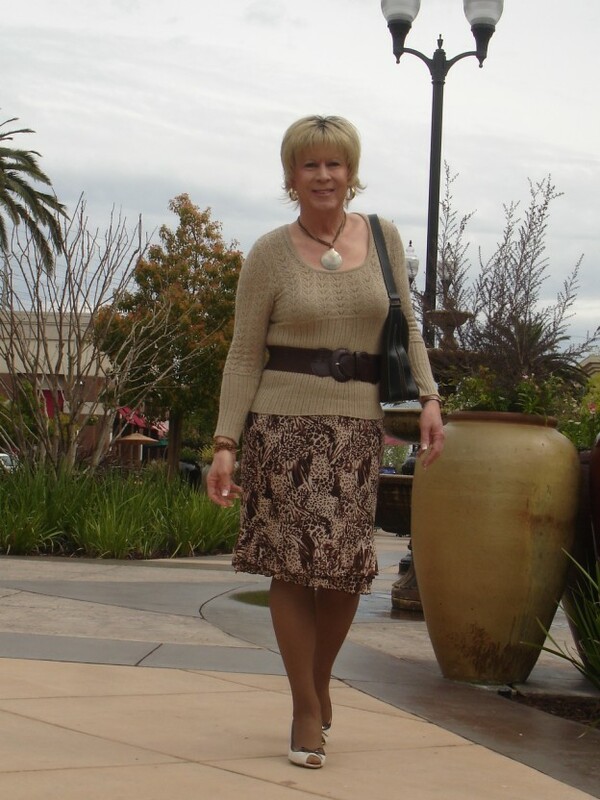 Today when I saw a cross-dresser proudly walking down the street wearing a chic tennis skirt, headband and knit top while carrying a large white purse, I couldn’t help thinking how comfortable he was with himself. His outfit was appropriate and he carried himself as if he belonged in society. Perhaps, he was on vacation feeling free to express his femme self and doesn’t wear woman’s clothing to work, yet I sensed he was on his way to living an authentic life. The challenge for cross-dressers, who are dual-gendered, is to come out of the shadows and to start becoming comfortable with being out. The initial step toward acceptance is to accept themselves first. Transgender women who have come to acknowledge who they are have fought for their freedom to be who they are and legally protected. Cross-dressers need to become more visible, so others can learn who they are and to develop a comfort level with them. Until this occurs, cross-dressers will be largely misunderstood. This entry was posted in Viewpoints and tagged cross dressing, cross-dressers, crossdressing by Terri Lee Ryan. Bookmark the permalink. I’m not sure I would categorize myself as a crossdresser as I live the majority of my life presenting as female. What I do know is those complaining about how things aren’t changing fast enough for the male who would like to dress publically are the ones still in the closet. If you want things to change, get out and fight the fight. I’ve been dressing publically for about 30 years now and have successfully integrated it into my everyday life. I am, for the most part, accepted by family and friends however I’m dressed. Did this happen over night ?, of course not, but you have to start somewhere. So, what are you waiting for, come out and join me. Thanks Graham for your comment. It does address the core of cross dressing for some. Is it better to remain a fantasy rather than to be in the open living as their fem self, at least part time. It looks like another topic the cross dressing community should comment on.